The fellows at MotorAuthority.com have an interesting article on BMW developing a 3 Series crossover, which will be called V3. 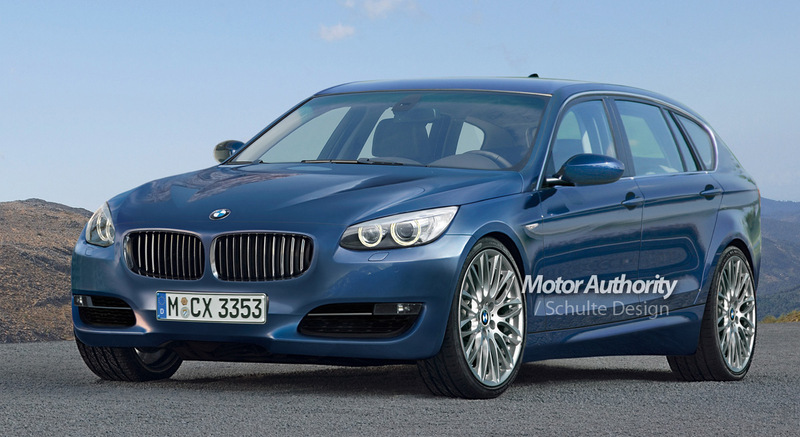 Back in March, we have shown you some spy photos of a BMW, which apparently could have been the 3 series crossover. At that time, we mentioned that the car in the photos might not be the actual V3, but rather a 3 series touring used to test the drivetrain. As you can see in the computer generated images at MotorAuthority, the design looks very different. Since many times CGI's are not accurate, I wouldn't assume that these images are the "real thing". We do agree on one thing with the guys at MA, BMW will definitely be stressing the car’s coupe characteristics just as it did with the X6, which it might turn out to be a successful model. We can also assume that it will come with both RWD and xDrive AWD configurations, with 4 and 6 cylinder engines. Since the launch date seems to be set for 2012, expect the final design to be approved sometimes in late '09 or even 2010.